I remember the days when the DOJ was managed by Eric Holder, and was as corrupt as corrupt could be. The rank and file is probably still corrupt, but a Republican administration brings different priorities. The Justice Department has launched a federal investigation into Planned Parenthood’s practices and the sale of fetal tissue. In that final report entitled “Human Fetal Tissue Research: Context and Controversy” published in December 2016, Grassley referred Planned Parenthood and other providers to the FBI for investigation. Grassley said at the time that the committee has discovered enough evidence that shows how abortion providers had transferred fetal tissue and body parts from aborted fetuses for research by charging amounts higher than they actually cost. 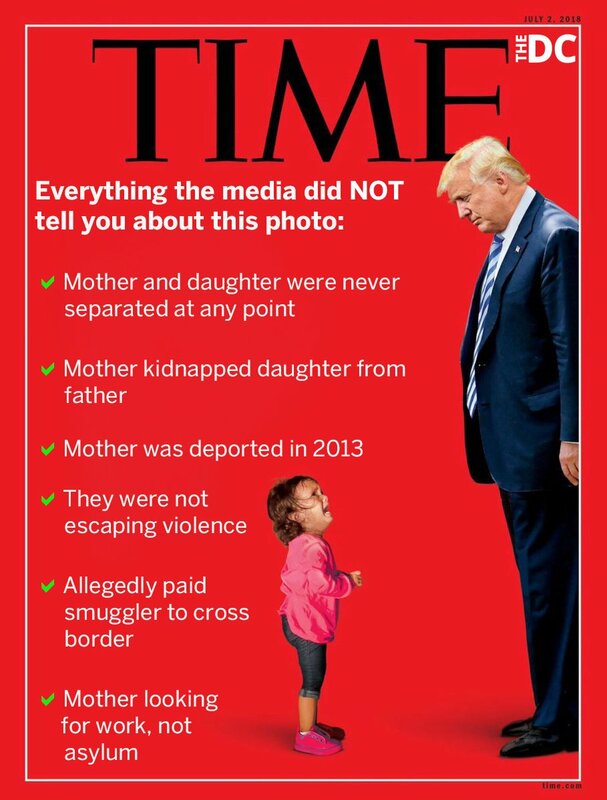 This would never have happened if Hillary Clinton had won the election in 2016. That’s happening at the federal level. At the state level, two companies that were in the baby parts selling business just got hit with massive fines. Two bioscience companies that once operated in Costa Mesa have reached a $7.785-million settlement with the Orange County district attorney’s office over allegations that they illegally sold fetal tissue to companies around the world, prosecutors said Friday. According to the settlement signed Monday, DV Biologics LLC and sister company DaVinci Biosciences LLC, both based in Yorba Linda, must cease all operations in California within 60 to 120 days. The agreement also requires the companies to admit liability for violations of state and federal laws prohibiting the sale or purchase of fetal tissue for research purposes, prosecutors said. […]Prosecutors opened an investigation into the companies in September 2015 after a complaint was submitted by the Irvine-based Center for Medical Progress. The anti-abortion group gained national attention in 2015 after releasing a video showing Planned Parenthood affiliates discussing the sale of aborted fetuses. There’s been a lot of good news lately. In Iraq, ISIS has been forced to give up all the territory they had taken. Government regulations continue to be obliterated by the Trump administration. Republicans are working on a tax bill which will give taxpayers some of their earned income back – as well as stimulating American companies to create more jobs. And more and more originalist judges are being appointed. Things are looking good in the short term. Can atheists condemn slavery as immoral? Do atheists believe that slavery is wrong? Note: For a Christian response to the complaint that the Bible doesn’t condemn slavery, see this article and this article for slavery in the Old Testament, and this article for slavery in the New Testament. These are all by Christian philosopher Paul Copan. You can watch a lecture with Paul Copan on the slavery challenge here, and buy a book where he answers the challenge in more detail. There is also a good debate on whether the Bible condones slavery here, featuring David Instone-Brewer and Robert Price. My post is not a formal logical essay on this issue, it is more that I am outraged that atheists, who cannot even rationally ground objective morality, insist on criticizing the morality of the Bible. I think that atheists who are serious about finding the truth about these issues should check out those links, if they are interested in getting to the truth of these matters. In other posts, I’ve argued that without an objective moral standard of what is right and wrong, any judgments about right and wrong are just individual opinions. So, when an atheist says slavery is wrong, what he really means is that he thinks slavery is wrong for him, in the same way that he thinks that,say, that chocolate ice cream is right for him. He isn’t saying what is wrong objectively, because on atheism there are no objective moral rules or duties. He is speaking for himself: “I wouldn’t own a slave, just like I wouldn’t eat broccoli – because it’s yucky!”. But he has no rational argument against other people owning slaves in other times and places, because their justification for owning slaves is the same as his justification for not owning slaves : personal preference and cultural conventions. So do atheists oppose slavery? Do they believe in an objective human right to liberty? Well, there are no objective human rights of any kind on atheism. Human beings are just accidents in an accidental universe, and collections of atoms do not mysteriously accrue “rights”. There is no natural right to liberty on atheism. Now consider abortion, which is favored by most atheists. Like slavery, abortion declares an entire class of human beings as non-persons in order to justify preserving their own happiness and prosperity by means of violence. That’s exactly what slavery does, except abortion is worse than slavery, because you actually kill the person you are declaring as a non-person instead of just imprisoning them. So how many atheists have this pro-abortion view that it is OK to declare unborn children as non-persons so they can kill them? 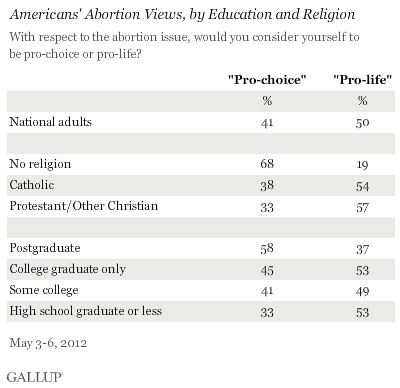 Well, according to Gallup, the “non-religious” are the group most likely to support abortion. In fact, 68% favor legalized abortion, compared to only 19% who oppose it. The Gallup numbers might actually be low, because “No religion” might include people who are spiritual, but not religious. But what about atheists alone? As a group, atheists tend to be among the most radical supporters of legalized abortion. The Secular Census of 2012 found that 97% of atheists vote for abortion. There are almost no pro-life atheists. Why is it that atheists look at unborn children and think it’s OK to kill them? Well, let’s see what atheists scholars think about morality, and from that we’ll find out why they think abortion is morally permissible. The position of the modern evolutionist is that humans have an awareness of morality because such an awareness of biological worth. Morality is a biological adaptation no less than are hands and feet and teeth. Considered as a rationally justifiable set of claims about an objective something, ethics is illusory. I appreciate when someone says, ‘Love thy neighbor as thyself,’ they think they are referring above and beyond themselves. Nevertheless, such reference is truly without foundation. 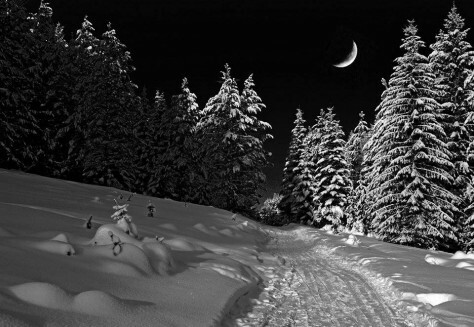 Morality is just an aid to survival and reproduction, . . . and any deeper meaning is illusory. (Michael Ruse, “Evolutionary Theory and Christian Ethics,” in The Darwinian Paradigm (London: Routledge, 1989), pp. 262-269). Most atheists are like this – although some affirm objective morality, without really having a rational basis for it. In general though, when atheists use moral language to condemn God, the Bible, or Christians, it’s very important to understand that it is just theater. They are trying to use words that describe realities that they do not even believe in, usually with the goal of getting you to stop judging them for their own sin. I blogged about two examples of this before – Richard Carrier and Michael Shermer. Let’s take a closer look at Richard Dawkins’ statement that there is “no evil and no good”. 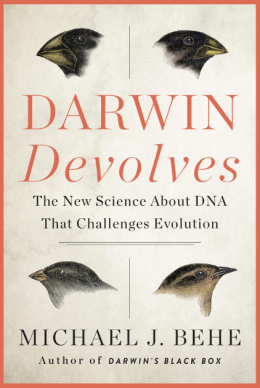 Dawkins believes in Darwinian evolution. Survival of the fittest. The strong kill the weak. Where is protection for the unborn in that narrative? Richard Dawkins even advocates for adultery. So, what Dawkins really believes is that morality is nonsense. But in order to get you to stop condemning abortion, adultery, infanticide and a whole host of other atheistic misbehaviors, he will try to condemn you using moral language to stop you from making moral judgments. But the goal here is to intimidate you into not judging. By his own words, he thinks that the whole notion of objective moral values and objective moral duties is just nonsense. Slavery was mostly eradicated from Western civilization–then called Christendom–between the fourth and the tenth century. The Greco-Roman institution of slavery gave way to serfdom. Now serfdom has its problems but at least the serf is not a “human tool” and cannot be bought and sold like property. So slavery was ended twice in Western civilization, first in the medieval era and then again in the modern era. In the American South, Christianity proved to be the solace of the oppressed. As historian Eugene Genovese documents in Roll, Jordan, Roll, when black slaves sought to find dignity during the dark night of slavery, they didn’t turn to Marcus Aurelius or David Hume; they turned to the Bible. When they sought hope and inspiration for liberation, they found it not in Voltaire or D’Holbach but in the Book of Exodus. The anti-slavery movements led by Wilberforce in England and abolitionists in America were dominated by Christians. These believers reasoned that since we are all created equal in the eyes of God, no one has the right to rule another without consent. This is the moral basis not only of anti-slavery but also of democracy. And, in fact, you can see Christians pushing the culture hard against abortion today, just as we did with slavery. We also oppose frivolous divorce, and redefining marriage in a way that normalizes removing mothers and/or fathers away from their children. Defending the weak is what we do. What is the root cause of the problems facing the black community? All my regular readers know that black economist Thomas Sowell is my favorite economist, but that’s only because he writes so many USEFUL books on so many topics. I probably agree more with my other favorite economist, who also happens to be black, Walter Williams. Williams is the John M. Olin Distinguished Professor of Economics at George Mason University, which is – in my opinion – the top school for economics in the country. His biography is right on his web site. Dr. Williams is the author of over 150 publications. Here is a recent column written by Williams on the situation facing the black community in America. The whole thing is worth reading, and should be seen as “the antidote” to the poison being spread about blacks in the predominantly white mainstream media. That the problems of today’s black Americans are a result of a legacy of slavery, racial discrimination and poverty has achieved an axiomatic status, thought to be self-evident and beyond question. This is what academics and the civil rights establishment have taught. But as with so much of what’s claimed by leftists, there is little evidence to support it. The No. 1 problem among blacks is the effects stemming from a very weak family structure. Children from fatherless homes are likelier to drop out of high school, die by suicide, have behavioral disorders, join gangs, commit crimes and end up in prison. They are also likelier to live in poverty-stricken households. But is the weak black family a legacy of slavery? In 1960, just 22 percent of black children were raised in single-parent families. Fifty years later, more than 70 percent of black children were raised in single-parent families. Here’s my question: Was the increase in single-parent black families after 1960 a legacy of slavery, or might it be a legacy of the welfare state ushered in by the War on Poverty? According to the 1938 Encyclopaedia of the Social Sciences, that year 11 percent of black children were born to unwed mothers. Today about 75 percent of black children are born to unwed mothers. Is that supposed to be a delayed response to the legacy of slavery? The bottom line is that the black family was stronger the first 100 years after slavery than during what will be the second 100 years. At one time, almost all black families were poor, regardless of whether one or both parents were present. Today roughly 30 percent of blacks are poor. However, two-parent black families are rarely poor. Only 8 percent of black married-couple families live in poverty. Among black families in which both the husband and wife work full time, the poverty rate is under 5 percent. Poverty in black families headed by single women is 37 percent. The undeniable truth is that neither slavery nor Jim Crow nor the harshest racism has decimated the black family the way the welfare state has. There’s more, but if you are looking for a quick, simple overview of what REALLY holds blacks down, then this article repays the investment to read it. I think it’s important to listen to the perspective of a self-made man. I think the solution to the problem is a combination of school choice, and changing the incentives facing young blacks by rewarding success, instead of failure. We should be paying for performance. That way, we’ll get more performance. People always do what there is an incentive to do, and that’s across all races, all times, all places. 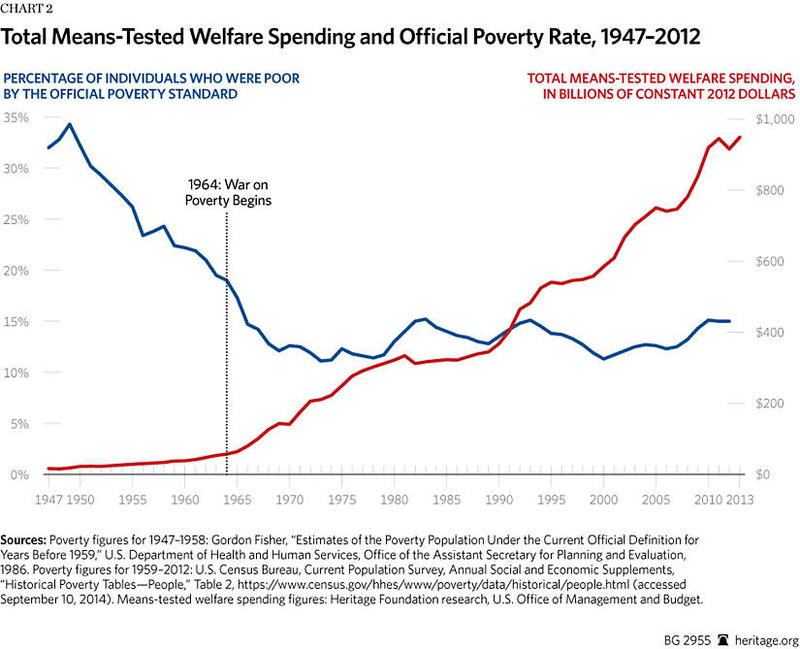 This longer article by Robert Rector at the Heritage Foundation has more analysis, with more statistics. It’s also worth reading. 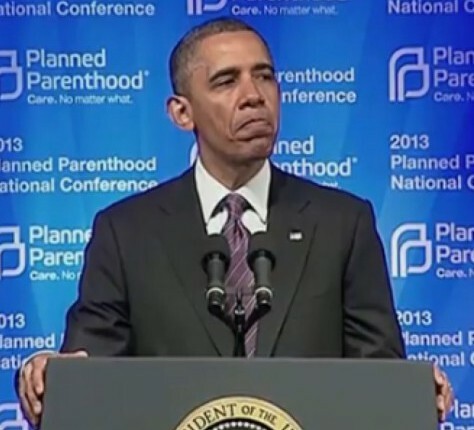 Planned Parenthood got $550 million from taxpayers last year, many of whom are pro-life! What do the Republicans intend to do about it? That’s a lot of taxpayer money that the Democrats sent to their buddies at Planned Parenthood. 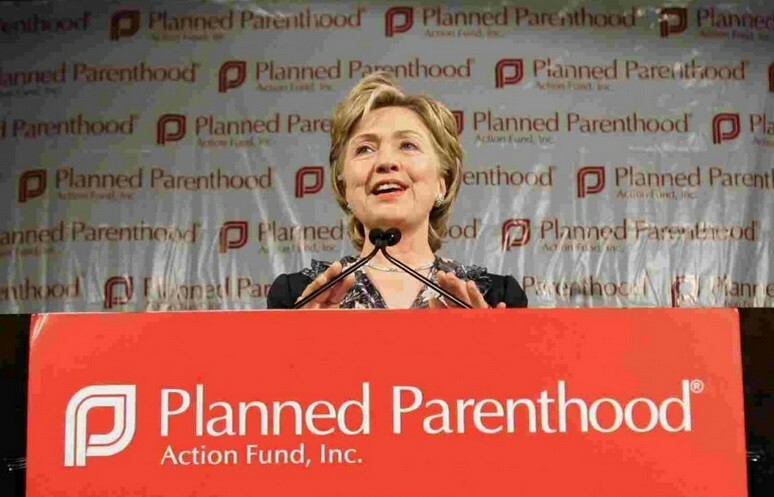 But then, Planned Parenthood made a lot of donations to Democrat politicians running for office. Earlier this week, my friend Kevin sent me new about the findings of the House of Representatives investigation of Planned Parenthood’s business practices. Planned Parenthood affiliates profited by transferring parts of aborted babies to outside organizations in violation of the law, a special House panel has concluded after a yearlong investigation. In a 418-page report released Wednesday, the House Select Investigative Panel on Infant Lives also found that other organizations involved in the transfer of fetal tissue broke federal or state law. In one case, a national Planned Parenthood executive interviewed by staff investigators for the House panel said “it doesn’t bother me” that one vendor, StemExpress, paid Planned Parenthood $55 for an aborted baby’s intact brain and then sold it to a customer for more than $3,000. “It’s none of my concern. It doesn’t bother me,” the Planned Parenthood executive said, according to the panel’s report. Republican members of the House panel recommend that authorities pursue charges against Planned Parenthood affiliates, which receive taxpayer money, and other entities for violating the law and related regulations. It will be interesting to see how far the Republicans are willing to go on this issue. Vice President Mike Pence recently said that the new administration will be in the business of keeping promises. Well, let’s see them do it.